See-Thru CPR® technology filters out compression artifact on the ECG monitor so that rescuers can see the underlying heart rhythm during cardiopulmonary resuscitation (CPR), thereby reducing the duration of pauses in compressions. 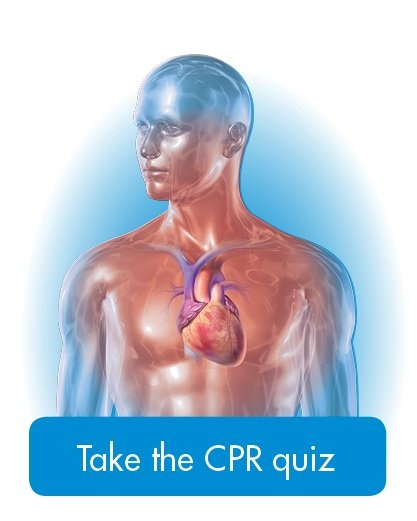 A key recommendation of the 2015 American Heart Association Guidelines for Cardiopulmonary Resuscitation (CPR) and Emergency Cardiovascular Care is to minimize interruptions in CPR. One of the most common reasons for interruptions is stopping CPR to determine whether an organized, shockable rhythm has developed. With ZOLL's patented See-Thru CPR technology, responders do not have to repeatedly stop CPR for a rhythm check—a filtered signal can be displayed on the screen. This exclusive ZOLL defibrillator technology allows the professional rescuer to analyze a patient's heart rhythm while continuous CPR is in progress and monitor the heart rhythm to determine the appropriate time to analyze or stop cardiopulmonary resuscitation to check the ECG. In See-Thru CPR, ECG signal processing extracts CPR artifact from the ECG. Below is an actual waveform generated during CPR, one of the many collected while validating this technology. The filtered signal shows that there is an underlying, organized rhythm and if a pulse is present, CPR can now be stopped. ZOLL recommends that rescuers stop CPR to confirm the rhythm is shockable prior to shocking.